Bath Place Hotel Metro HotelThe seventeenth-century cottages were built in the early sixteen hundreds by Flemish weavers who won permission to build against the outside of the city wall. It is believed there had previously been a communal well and bath house on the site. Very little of the original city wall remains. However, parts of it are exposed on the back wall of the present dining room, and one can see a well preserved section of it from several of the hotel windows. The cottages nestle between New College, one of the University's oldest colleges, and Hertford College, established in the thirteenth century. Complimentary Wi-Fi available throughout the hotel. Off road parking, please enquire for charges and location DVD players available in some rooms (please contact us for details). Children welcome from any age. 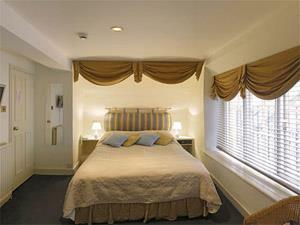 Bath Place Hotel sometimes limits bookings to 2 or more days. 1st floor room with double bed. Single sofa bed also available. 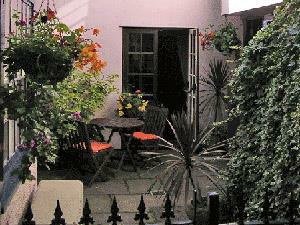 Single occupancy rate available from Sunday- Wednesday nights. 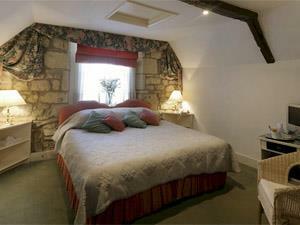 First floor flexible room which can be either a king sized double or a twin bedded room. 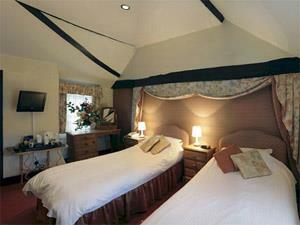 Minimum two night stays at weekends. Single occupancy rate available from Sunday- Wednesday. Situated in the very centre of the city. Please contact the accommodation direct for directions and parking details. Approximately 0.7 miles from Oxford Rail Station. From Heathrow there is a fast rail link to London Paddington which connects directly with services to Oxford. There is a regular coach service (X70) from both London airports to Oxford City Centre. From London there are two coach services that run 24hrs, The Oxford Tube and X90, both of which depart from Victoria at Grosvenor Gardens and call at Park Lane (West side near Marble Arch). The X90 also calls near Baker Street at the top of Gloucester Place and the Tube on Notting Hill Gate. Airport and London coaches terminate at Gloucester Green bus station in Oxford. Accommodation approximately 0.4 miles from the bus station.